The working partnership between the Schur Flexibles Group and Vetaphone dates back 50 years to the early 1960s. Nick Coombes visited the company’s extrusion plant in Denmark to look for the secret of this longstanding success. When the Father of Corona Treatment, Verner Eisby, founded Vetaphone in his hometown of Kolding (Jutland), he was inadvertently doing the most enormous favour to one of Denmark’s leading converters, located at Bjert, just 15 minutes down the road. Schur Flexibles (Denmark) is part of a Group that also has production sites in Germany, Netherlands, Poland, Greece and Finland, and employs more than 1000 people. Essentially a full-line supplier of high barrier flexible packaging, the Group serves principally the food, tobacco and healthcare industries, and is one of Europe’s leading providers of flexible packaging to the fresh-food market. 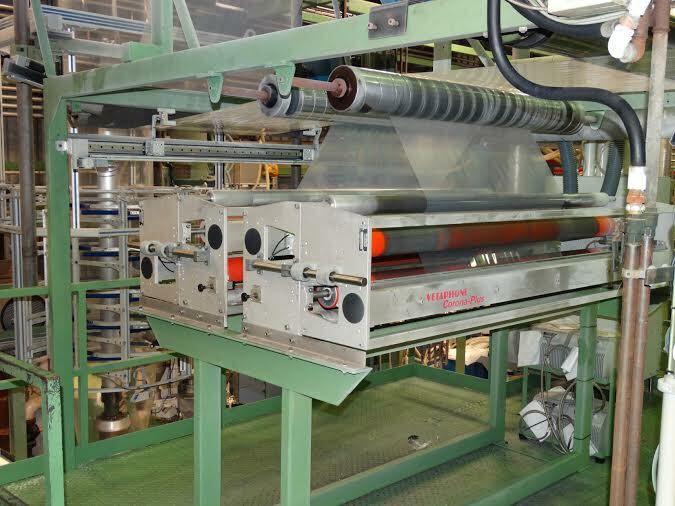 The production facility in Bjert, which formerly included print capability, is focussed today solely on blown extrusion of PE film, with eight Windmöller & Hölscher lines filling the six-storey factory to the roof. All of the lines are fitted with Vetaphone Corona-Plus VE2B units, of which four are co-ex three layer and four are mono layer treaters, and all are covered by a preventative maintenance contract that involves scheduled visits by Vetaphone technicians each year, and provides Schur with unbroken 24/7 operation. Production at the Bjert plant has a capacity of 50 tons per week, with the lines extruding at 200-450 kg/hour at widths of 600-1800mm on thicknesses of 12-230-micron. 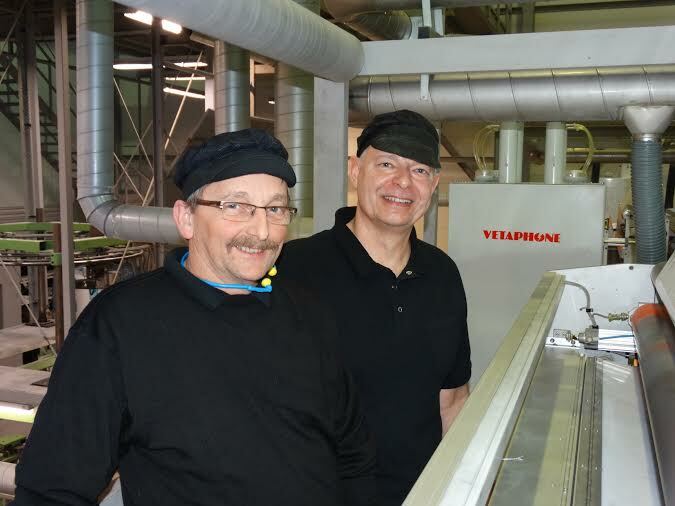 It is, to say the least, a tough working environment for the technology involved, and Production & Logistics Manager, Werner Nielsen, is quick to praise the reliability of his machinery and long-time skills of his production team. With Denmark such a high-cost country for production, Nielsen is keenly aware of the need to maximise output efficiency, and machine reliability is one of the key factors. “We need to be able to set and forget” he said, alluding to the Vetaphone units that can be seen everywhere in the production hall. “They don’t breakdown, and the quick change cartridge design allows for easy maintenance and replacement by our operators or Vetaphone’s technicians,” he added. The proximity of the two companies has proved beneficial both ways. For Schur it offers the latest technology that is locally manufactured by experts, and for Vetaphone, it offers a test bed for new designs in a tough commercial environment that could not otherwise be replicated. One might say it’s a ‘win-win’ situation, and clearly one that has been of major benefit to both parties, with Schur attaining key industry accreditations like the Green Network Diploma, DS/EN ISO 9001:2008, and the BRC global standard for packaging materials. 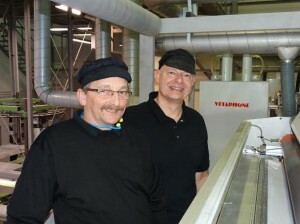 For Vetaphone, it has been a step on the way to becoming undisputed market leader – a fitting result for the company that invented corona treatment as a technique. It’s small wonder that a working partnership that began half a century ago still flourishes. To listen to both of the companies involved, it is clear they need each other, and benefit hugely from doing business with each other. There is, I believe, a lesson to be learned here by some of today’s manufacturers of so-called ‘new technology’!